Dr. Emily is originally from the Milwaukee area. She earned her Bachelor of Science degree in Kinesiology at U.W. Eau Claire, and her Doctor of Chiropractic degree at Northwestern Health Sciences University. 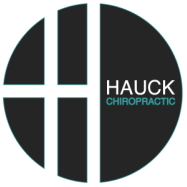 Prior to founding Hauck Chiropractic, Dr. Emily worked at a prominent family wellness and pediatric chiropractic clinic in eastern Wisconsin. In March of 2013 she founded Hauck Chiropractic in Hastings. Dr. Emily has a passion for family chiropractic care! She has additional training in pediatric and prenatal chiropractic care through the International Chiropractic Pediatric Association. She has attained her Webster Technique Certification for prenatal chiropractic care. Since moving to Hastings Dr. Emily has become involved in several moms groups, is a coach for a local women's running group, and serves on the community board for Hastings YMCA. Dr. Emily is an avid long distance runner, having completed 8 marathons, including qualifying for the Boston Marathon. She attributes staying injury-free while accomplishing her running goals in large part to regular chiropractic care. Dr. Emily and her husband, Jake, make their home in Hastings and have two daughters, Annika (6), Elsie (3), and Luke (4 months) and a black lab, Sadie. Jake works in New Product Development at Intapp, Inc. In their spare time, the Haucks love being outdoors and spending time with family and friends.